We’ve all been there. At an inopportune moment your smoke alarm goes off or just won’t stop chirping. It’s loud, it’s annoying, but it could also save your life. While it can be frustrating to have a nuisance smoke alarm, taking the time to maintain it correctly can be an important part of your home security efforts. Maintaining your smoke detectors is as simple as monthly testing, yearly battery replacement, and replacement of the entire smoke detector after ten years. If you aren’t sure how old your smoke detector is, there should be a manufacture date on the back of it. This regular maintenance can help you completely avoid those annoying chirps and false alarms. When your smoke alarms chirp relentlessly, it’s typically because the backup battery’s power is low so you should replace it promptly. When you replace the battery, make sure you follow the manufacturer’s directions in terms of which batteries you can use, as some batteries may cause the smoke detector to not work properly. If you change the battery and the annoying chirps continue, it usually means that the smoke detector itself is in need of replacement. In addition to keeping the batteries fresh, it’s also important to clean off the smoke detector periodically to ensure that there isn’t dust or dirt blocking it from working effectively. What kind of detectors do you need? There are a variety of alarms that you can purchase to increase the safety of your home. 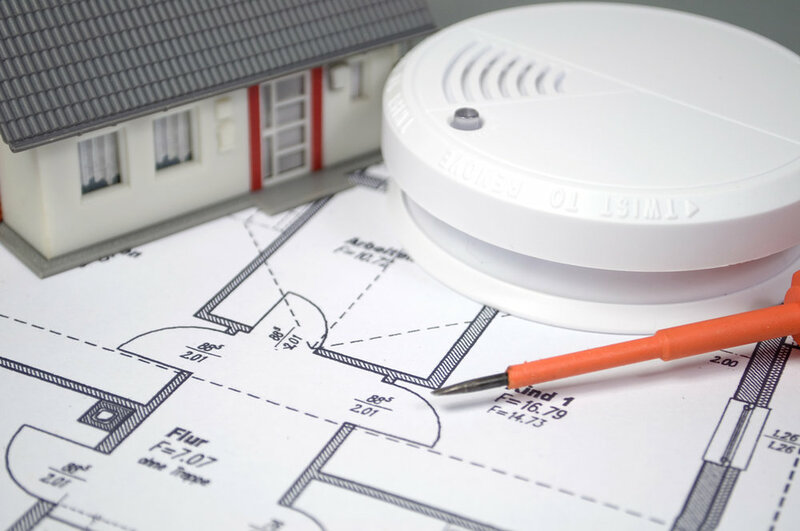 Smoke detectors and CO detectors are two of the most common ones found in most people’s homes. When it comes to smoke detectors, they feature different detection sensitivities and most people will find it useful to incorporate a combination of the two into their home. Some smoke detectors can also be incorporated into the monitoring of your home security system. This allows your home security monitoring company to alert you and the authorities to the fact that an alarm has gone off and there was likely a fire in your home. Your home security should include so much more than just scaring away burglars. At J&J Security we understand the value of a well-rounded plan for securing your home. From automation and cameras, to medical alerts and image sensors, we offer ways to ensure that your home is secure and your family is kept safe. Contact us to get a quote and learn more today. Newer PostWill Your Home Be A Burglary Target Twice?